Imagine that somebody has asked for your help in tackling a particular challenge. They may want to change their career, take greater care of their health, turnaround a team, develop an organisation’s culture or whatever. The first step will be to create a safe environment in which they can feel calm and make considered decisions. Let’s assume that you have created such an environment. You can then help the person to work through the following steps. 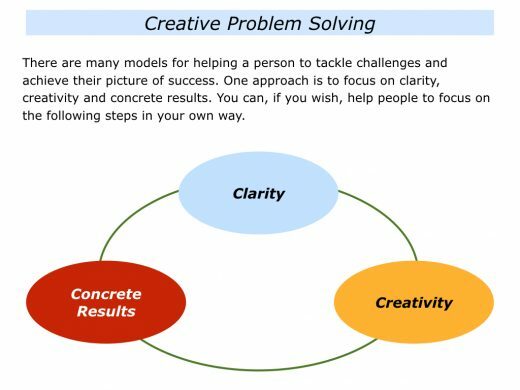 Clarity is crucial to creative problem solving. A person is more likely to succeed if they clarify the real results they want to achieve – the ‘What’ – before embarking on the ‘How’. 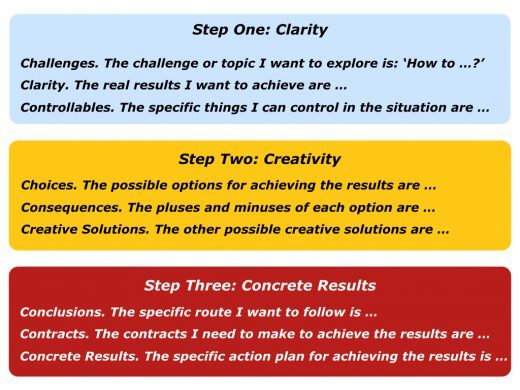 You can go through the following stages to help a person establish clarity. Invite the person to start by listing the various challenges they face. Then focus on the specific issue they want to tackle. The “How to …?” phrase often encourages them to use their imagination to begin generating solutions. If appropriate, you can also invite the person to give more background about the situation. This can help when focusing on their priorities. Bearing this in mind, invite the person to complete the following sentence. Sometimes this process takes a little time, but it is a vital step in creative problem solving. The strategies for achieving this goal may be much more extensive – and effective – than those involved in tackling the first issue. “But surely you have to turnaround difficult people in an organisation,” somebody may say. They then invite people: a) To decide if they would like to opt-into the future culture; b) To show how they want to contribute to achieving the picture of success. People can choose whether they want to be part of making it happen. Great leaders keep focusing on the key strategies for enabling the organisation to achieve success. Let’s consider another example. During one session a father asked how to help Tom, his son, to be better at passing school exams. Both of Tom’s parents had been good at school and believed in paper qualifications. Tom had other gifts, however, such as being a Trader. He did a paper-round, plus had a Saturday job in a music store. So was the goal to help Tom to pass exams or to enable him to develop a fulfilling career? The father eventually decided to encourage Tom to build on his strengths and pursue his route as a Trader. 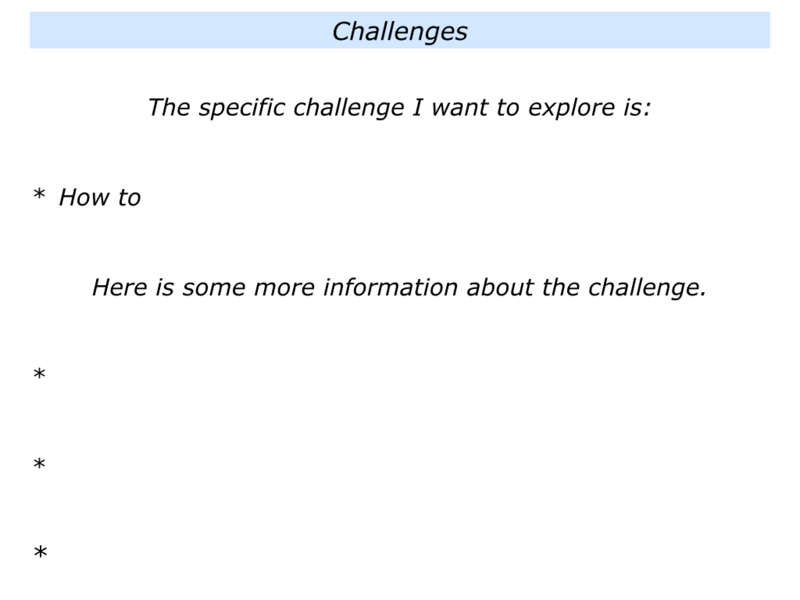 Let’s return to the specific challenge the person wants to explore. Invite them to do two things. 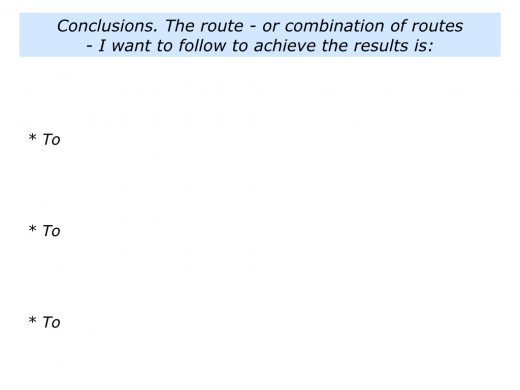 First, to clarify the real results they want to achieve. If appropriate, brainstorm all these goals. Second, to list these results in order of priority. Invite them to complete the following sentences. 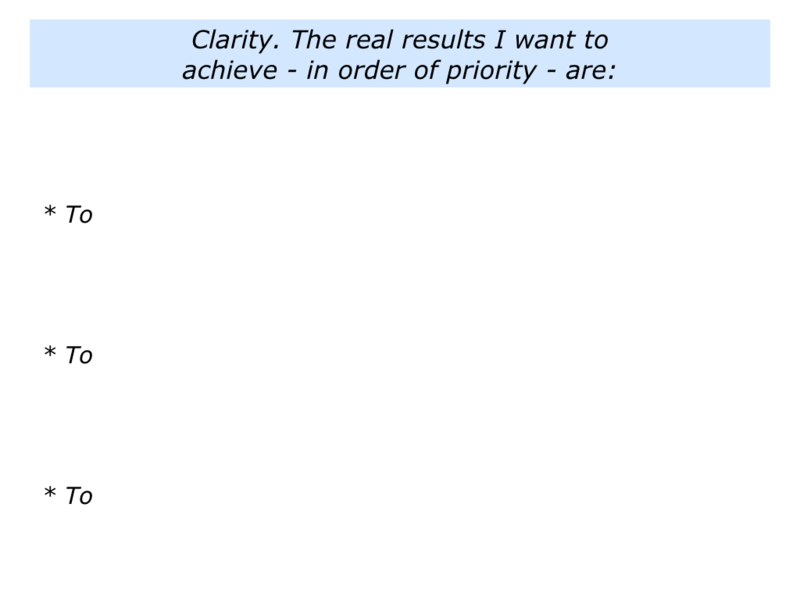 Let’s assume the person is clear on the results they want to achieve. Before pitching into finding solutions, however, it is good to do a reality check. Peak performers control the controllables. They build on what they can control and manage what they can’t control. The same rule applies to your client. Imagine that they want to build a good relationship with their manager. They can control their own attitude and try to make clear working contracts. But they cannot control their manager’s behaviour or what the manager says about them. Bearing this in mind, they can aim to act as a total professional. Things may or may not work out, but they will have done their best. Returning to the results your client wants to achieve, invite them to describe the things they can control in the situation. 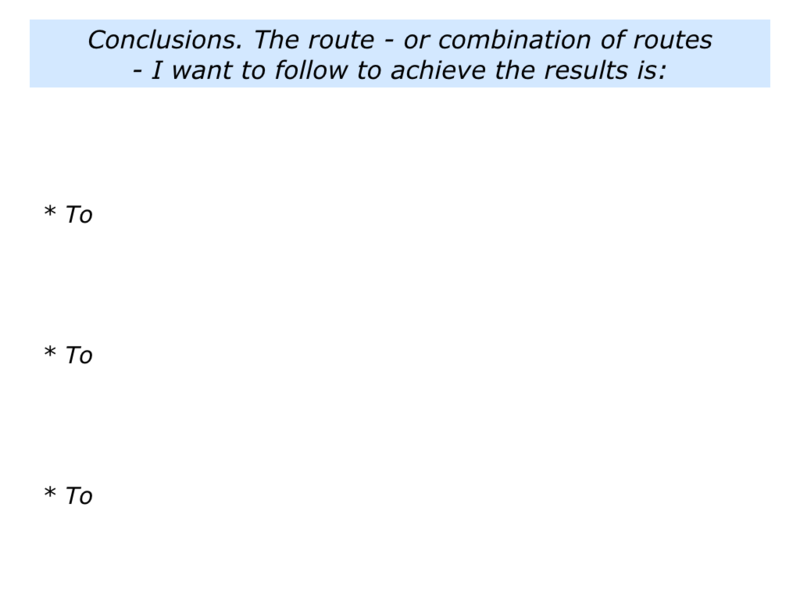 So far the person has clarified the challenge, the results to achieve and the controllables. 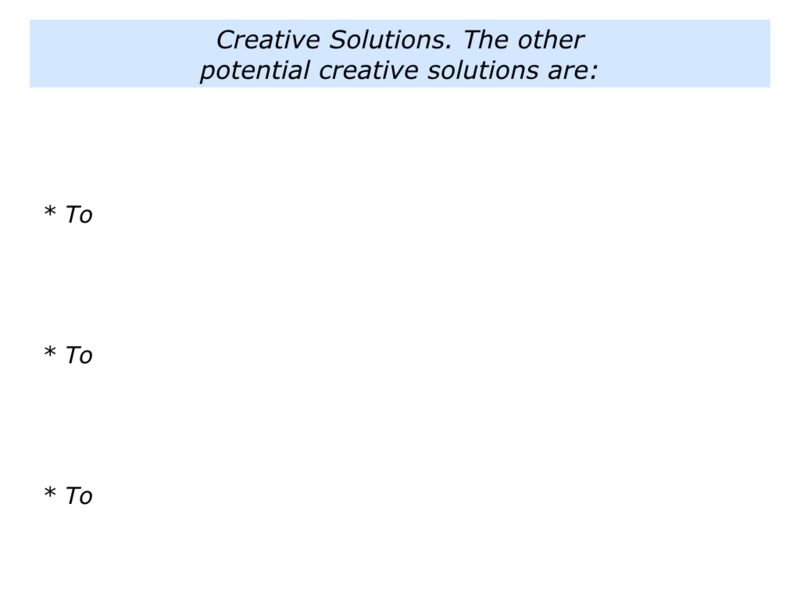 It’s now time to move on to the possible creative solutions. Let’s return to one of the challenges mentioned earlier. Imagine your client is a leader who has been charged with turning around an organisation. They will then move onto finding imaginative ways to achieve the goals. This often involves going through the process of exploring the choices, consequences and creative solutions. Let’s consider these stages. Bearing in mind the goals they want to achieve, explore the possible options they can pursue. b) To take a command and control policy, focus on the detail and drive everybody towards the goals. c) To concentrate on the profitable parts of the business and cut everything else. d) To put everybody through a change programme geared to people changing their behaviour and delivering the goods. e) To maintain some parts of the present business, but build prototypes that demonstrate how the business could be successful in the future. Looking at the goal they want to achieve, invite the client to outline the possible options they can follow. Once these are out in the open, it will be time to go onto the next stage, considering the implications. 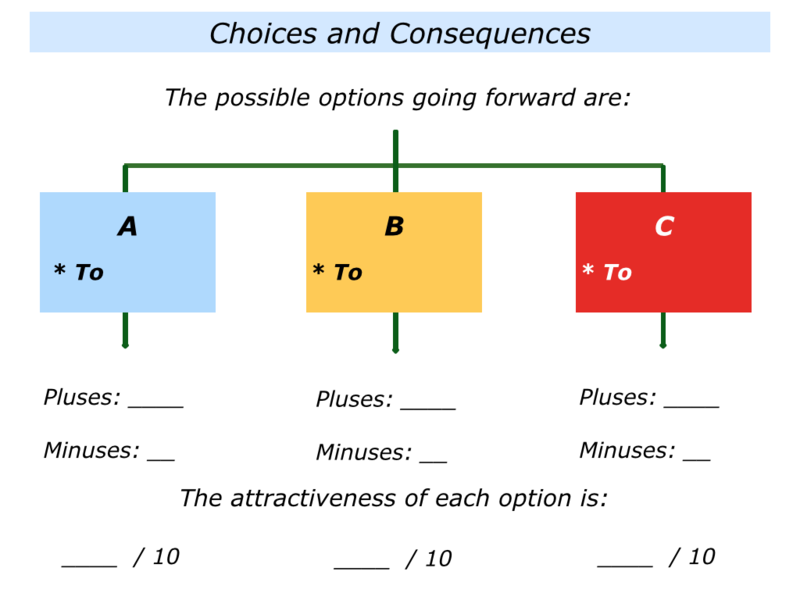 Looking at each option in turn, they can consider the respective pluses and minuses. Great decision makers, for example, often base their decisions on the consequences of each option, rather than the options themselves. They then build on the pluses and minimise the minuses. Depending on the challenge they face, the client can outline the various options. 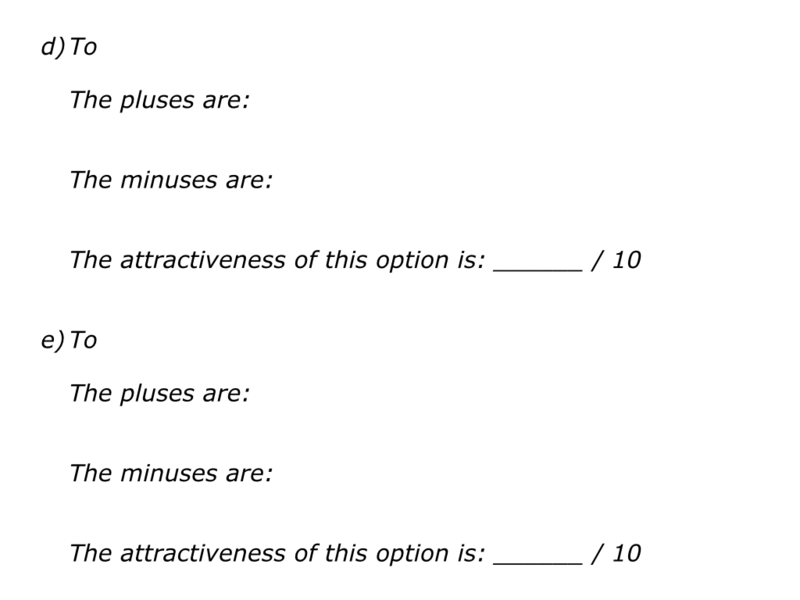 They can then rate the attractiveness of each option on a scale 0 – 10. Looking at the goals the client wants to achieve, are there any other possible creative solutions? You can help them to do this by recapping what has been covered and perhaps asking some of the following questions. 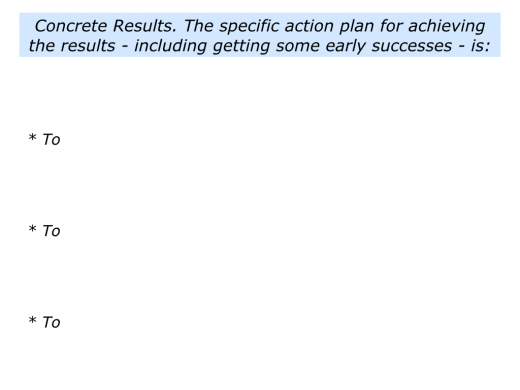 “Let’s start by re-establishing your goals. What are the real results you want to achieve? How can you do your best to achieve these results? 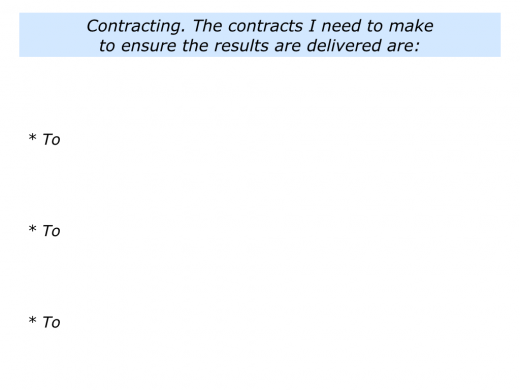 “Let’s look at the different options you have outlined. Is it possible to take the best parts from each option and create a new road? If so, how would this look in practice? “Let’s learn from your positive history. Looking back, have you ever been in a similar situation and managed it successfully? What did you do right then? Is it possible to follow any of these principles to achieve the goals? “Let’s explore what you can learn from best practice. Are there any other people, teams or organisations that have managed this kind of challenge successfully? What did they do right then? How can you follow these principles in your own way? “Sometimes we can get too close to events. Imagine for a moment that you are a consultant who is hired to give tough but fair advice. What advice would you give yourself to tackle the challenge and reach your goals? “If you are tackling a conflict, keep asking: ‘How can we do our best to get a win-win?’ At first this may seem difficult, but focus on what people have in common. Most problems are solvable, but sometimes it takes a lot of creativity. Keep going until you find possible solutions. Invite the client to keep going until they feel they have explored all the possible options. They can then complete the following sentence. It is then time to translate the ideas in action. The person can do this by going through the following stages. Looking at the various ways forward, they can settle on the route they want to follow. Sometimes they will choose to pursue one main option, sometimes to pursue multiple options. What will be the pluses and minuses involved? How can they build on the pluses and minimise the minuses? Looking at the results they want to achieve, invite them to complete the following sentence. Looking at the road ahead, invite the person to consider if they need to make any contracts with people. 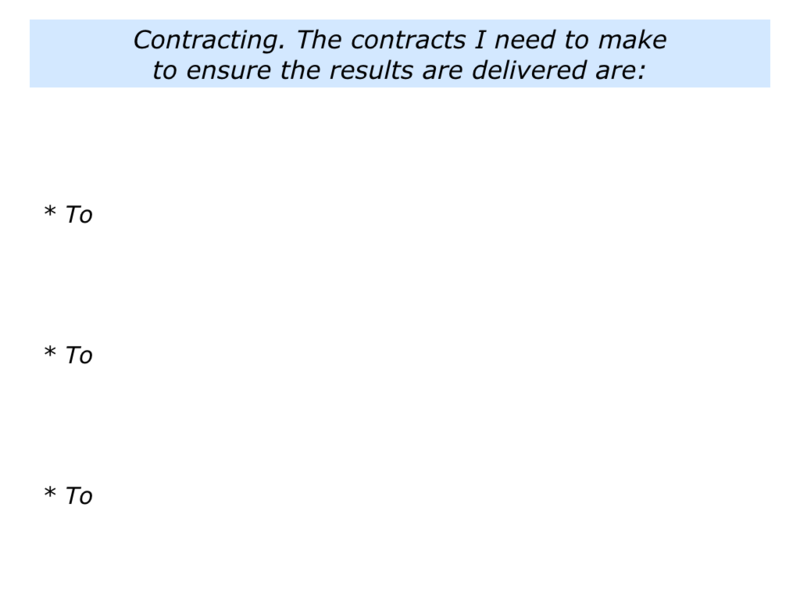 Their main contract, of course, is with themselves. 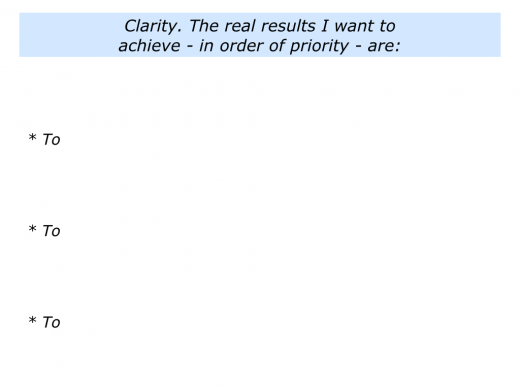 Looking at the whole package – the pluses and minuses involved – do they want to make the inner commitment to achieving the goals? If so, they may also need to make clear working contracts with other people who can help them to reach the goals. Invite them to complete the following sentence. There are many models for tackling challenges. Here we have focused on clarity, creativity and concrete results. You can adapt this approach in your own way, of course, to help the client to achieve their picture of success. Bearing this in mind, you can invite them to complete the following step. The person can make a clear action plan and build in some early successes. This can help to create positive momentum on the route to achieving their goals.